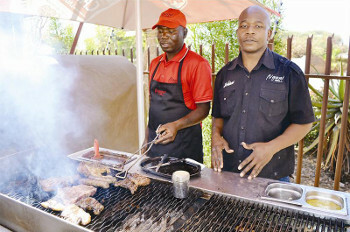 Welcome to Nguni Grill, and Bar Restaurant in Polokwane. At Nguni, you can always expect generous portions of great food as well as a warm reception and friendly service. 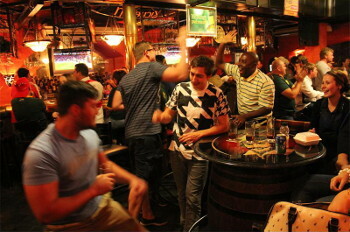 We always see our patrons as family members making Nguni a home away from home. We are proud to have kept Polokwane satisfied with delectable food, cooked by truly passionate chefs, since 2009. Our founders have years of experience and it’s this experience that has made Nguni Grill stand out above the rest. See our extensive menus of takeaways, sushi as well our famous burgers, steaks and more! Why wait? Come on down! We can’t wait to serve you. The Nguni Tribe originates from Mozambique and Zimbabwe as far back as the the 18th Century. They were traders in cloth and beads and a very peaceful and quite complex people. They were involved in battles with Paul Kruger’s Commandos between 1864 – 1867. The Nguni People is a mixture of Shangaan, Tonga, Tsonga & Thonga. They are also perceived as the ancestors of the Zulu, Khoza and Swazi Tribes. In 1960 they were given a homeland now called Gazankulu. Nguni people and their livestock migrated from North, Central and East Africa, crossing the Zambezi between 590 and 700 AD. They are beautifully patterned and multicoloured and indigenous to Zulu culture. Rock paintings of the Nguni have been found in Libya and Sahara and are estimated to be 8,000 years old. Recent research has revealed that the Nguni cattle were probably introduced into Southern Africa much earlier than originally thought by Khoisan speaking people. The click sounds in Nguni languages comes directly from Khoisan dialects. In fact there are entries in the early Portuguese explorers’ journals detailing how the Khoikoi rode their Cattle into battle like war-horses!